Satellite / nanosatellite project managers often wish to use amateur radio frequencies for educational and outreach purposes. The amateur radio community thus offers them a tremendous potential for monitoring their fragile conception. They often ask what kind of amateur radio experience would be interesting onboard a CubeSat or what services they could provide with their communications systems. The answer can be simple: a transponder, but these designers would like to bring novelty and innovation. 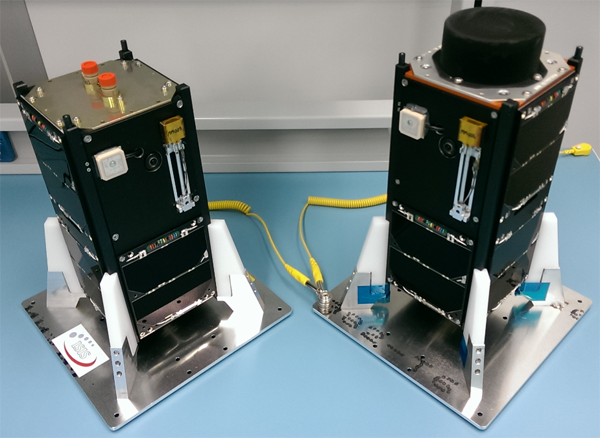 In order to provide more factual input, AMSAT-F has decided to launch an English Language Online Survey to find out what you do and would like to do as a satellite activity, what you expect from satellite designers and what you can bring to them. *The synthesis of these results will be presented at the second* AMSAT-F meetings « Rencontre spatiale radioamateur » on March 9 and 10, 2019 in Nanterre (France). The survey is in English but hosted on French server. Few guideline could be in French.